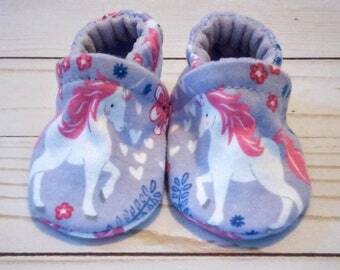 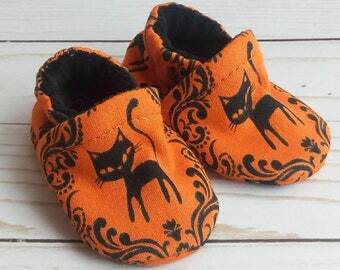 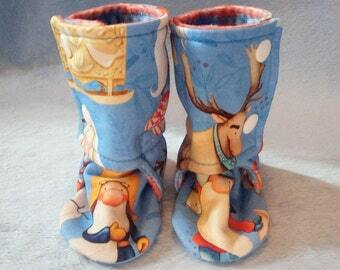 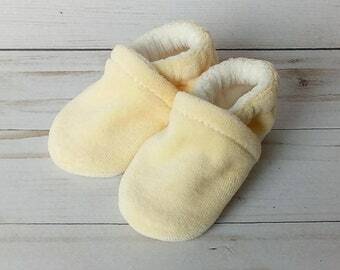 These baby shoes have been a favorite of our customers for over 10 years! 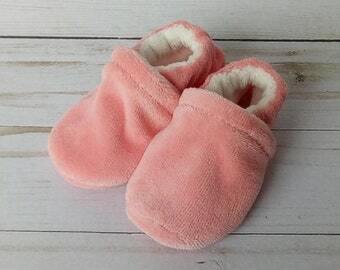 One of those reasons is because our shoes stay on! 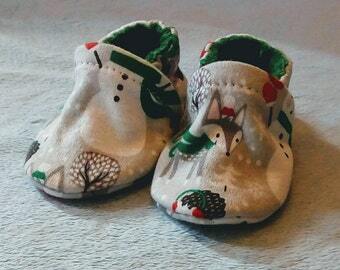 No more lost socks or shoes. 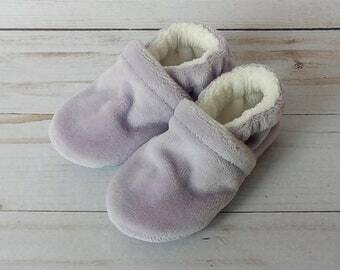 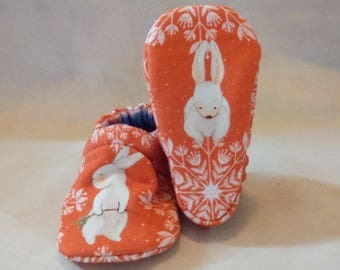 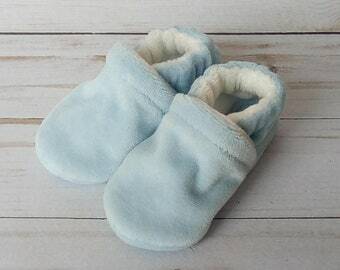 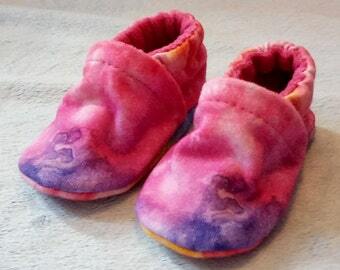 Our all fabric baby shoes are made from the softest materials and will keep your little one's feet warm. 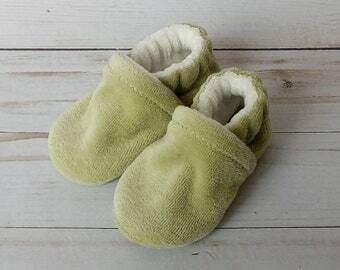 Soft soled shoes also allow baby's feet to grow and develop as nature intended. 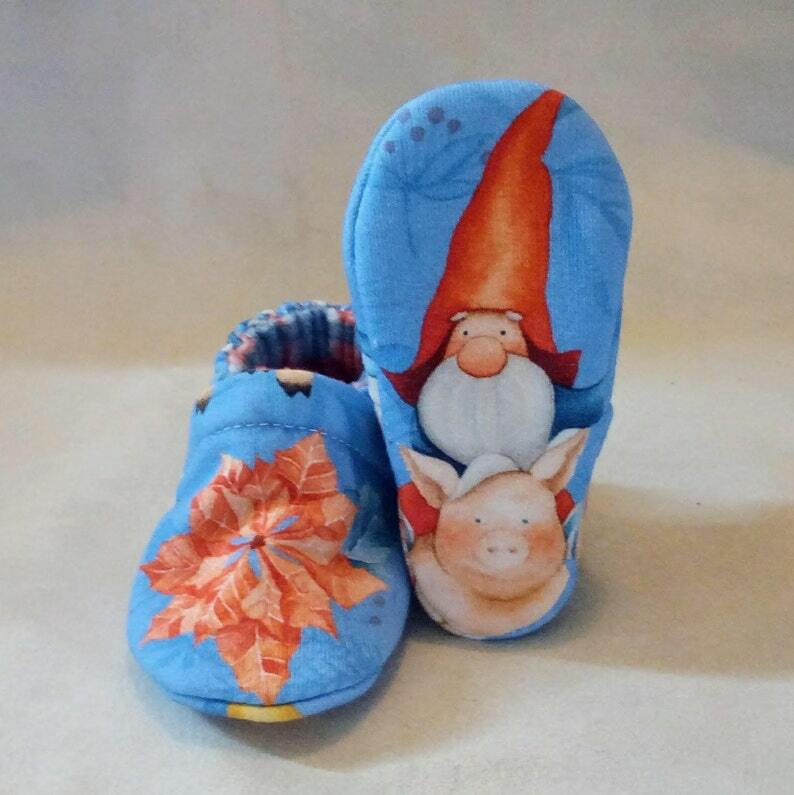 ~Gnomemade french terry outer with coordinating plaid minky lining. 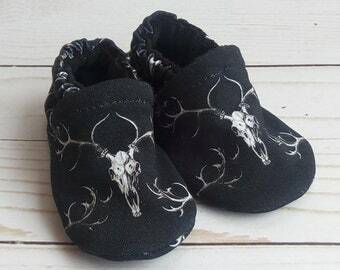 ~Black Toughtek non-slip soles for toddlers.